For starters, we had the sugar-cured wild Haldon venison, hazelnut shallot dressing, chicory with game emulsion and the cumin-crusted, line-caught pollack, smoked eggplant, cracked wheat and coriander oil. A housemade flatbread was also served. 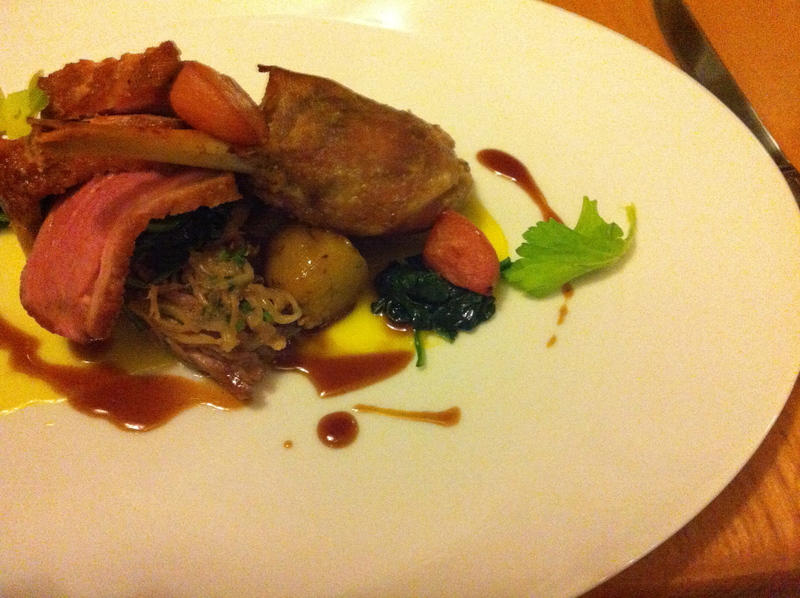 For main courses, I ordered the carmelized Crediton duck breast, purple sprouting broccoli, pink fir potato and onion confit with duck sauce. 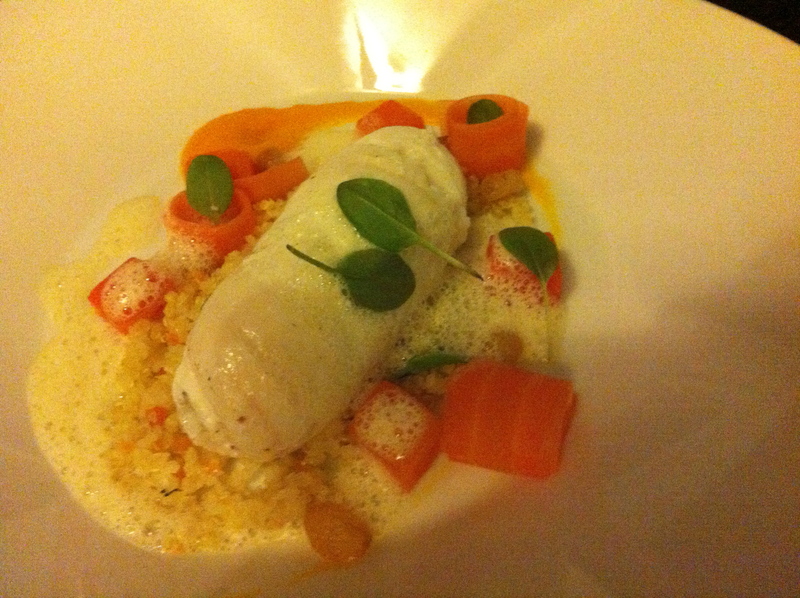 He had the steamed day boat lemon sole with Teign mussels, glazed carrots, braised quinoa and golden raisins. 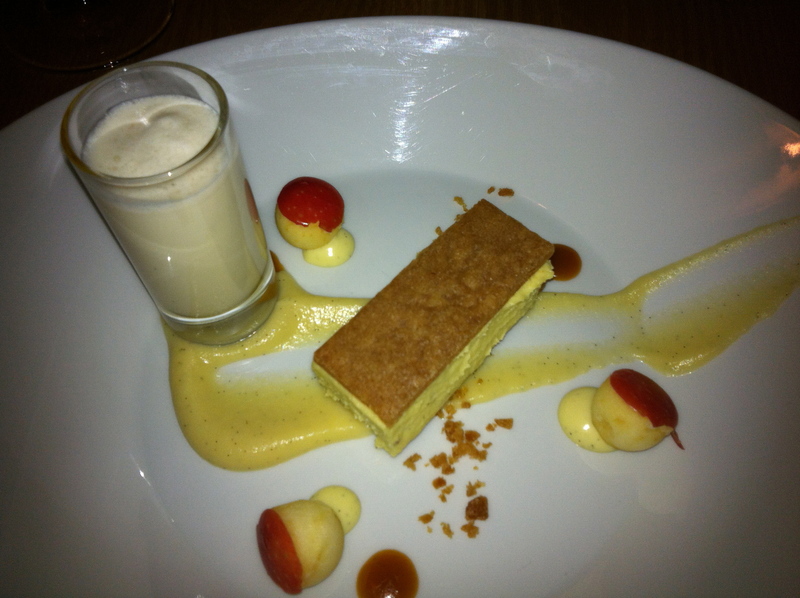 For dessert, I tried the layered pastry with set English apple, gingerbread milkshake and apple compote. I loved all of the elements! 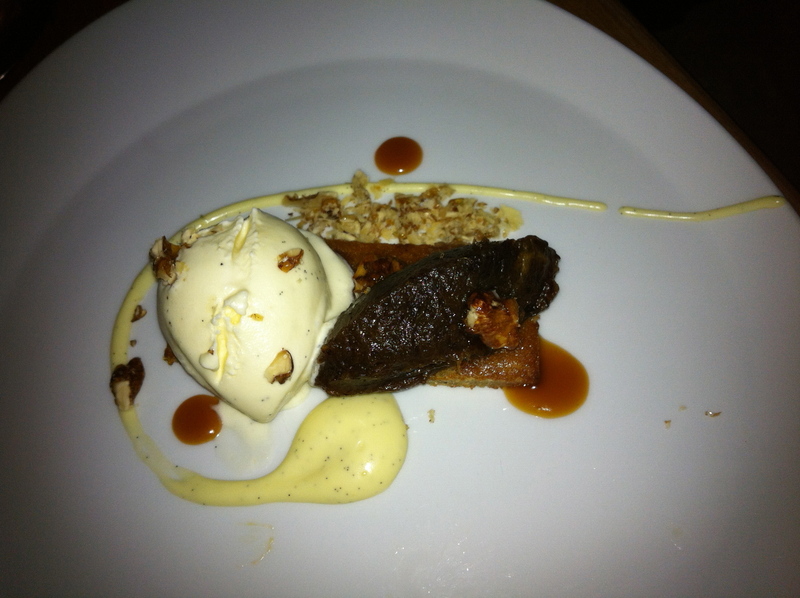 He ordered the warm toffee sponge, date, candied walnuts and vanilla ice cream, along with coffee. It was a dinner that I’ll never forget! We will be back to visit next time! 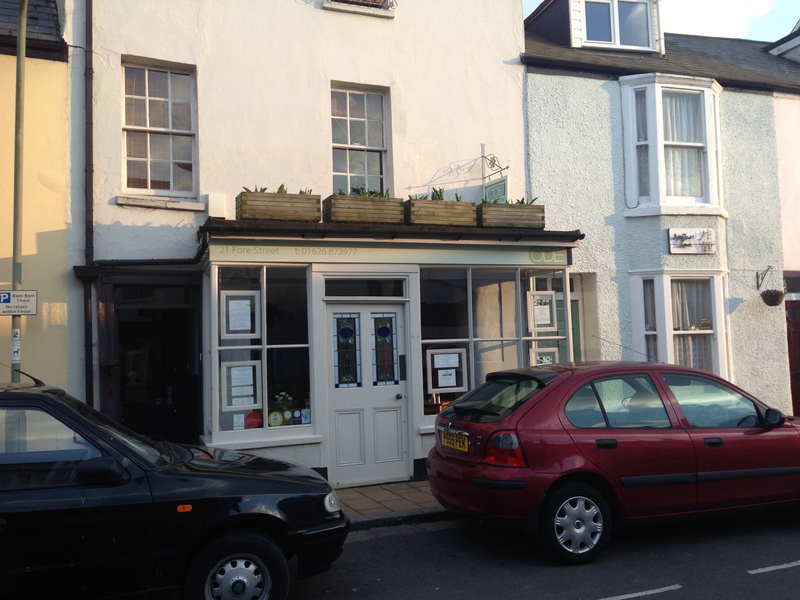 Ode, 21 Fore Street, Shaldon, Devon. TQ14 0DE. 01626 873977. Posted on 8, May 2013, in Food and tagged Britain, British, devon, dining, food, ode, restaurant, shaldon, sustainable, Tim Bouget, UK. Bookmark the permalink. 5 Comments. Looking forward to eating there next week! 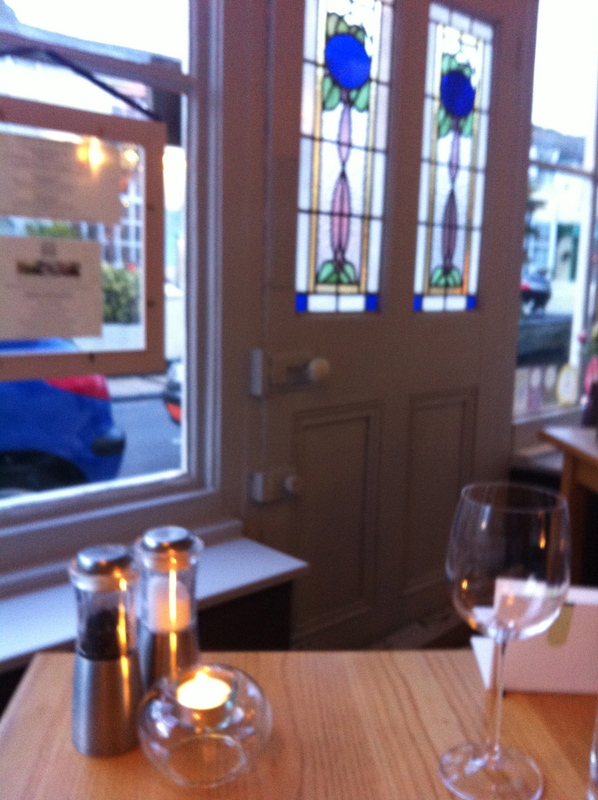 The food looks delicious …and I love the little planter boxes above the door way.